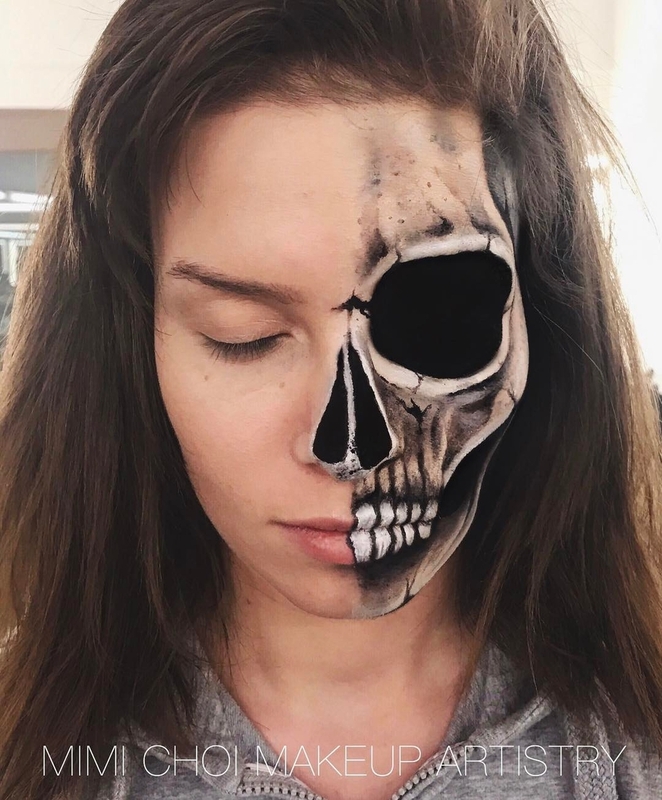 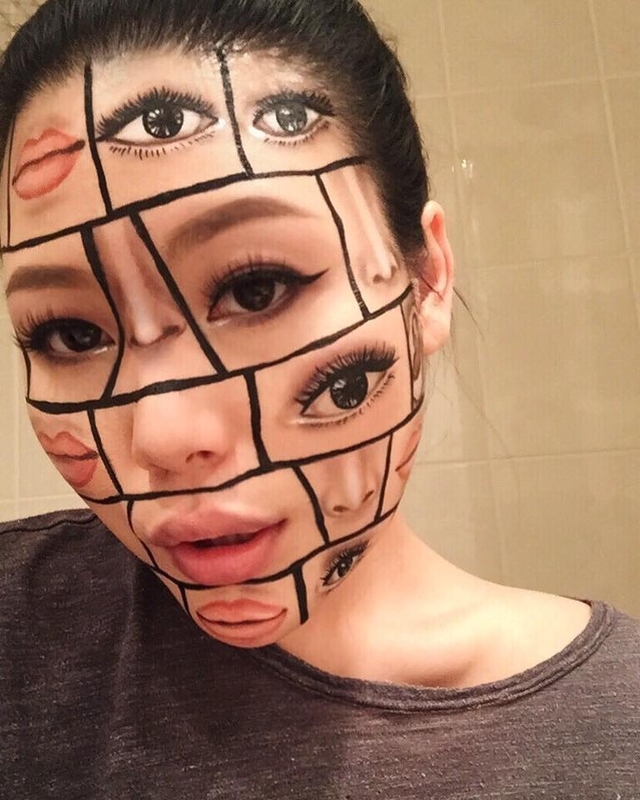 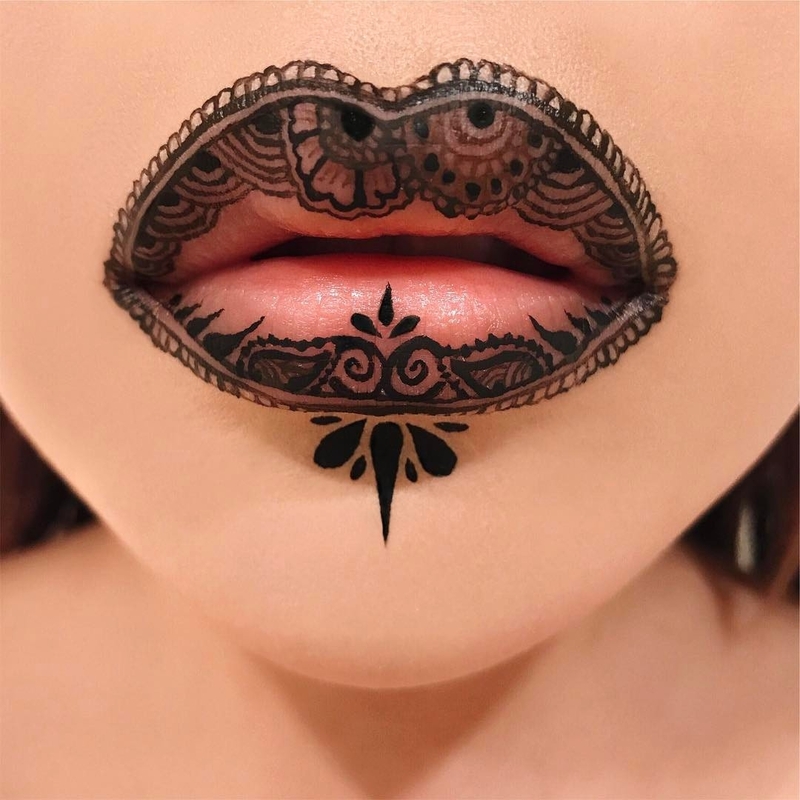 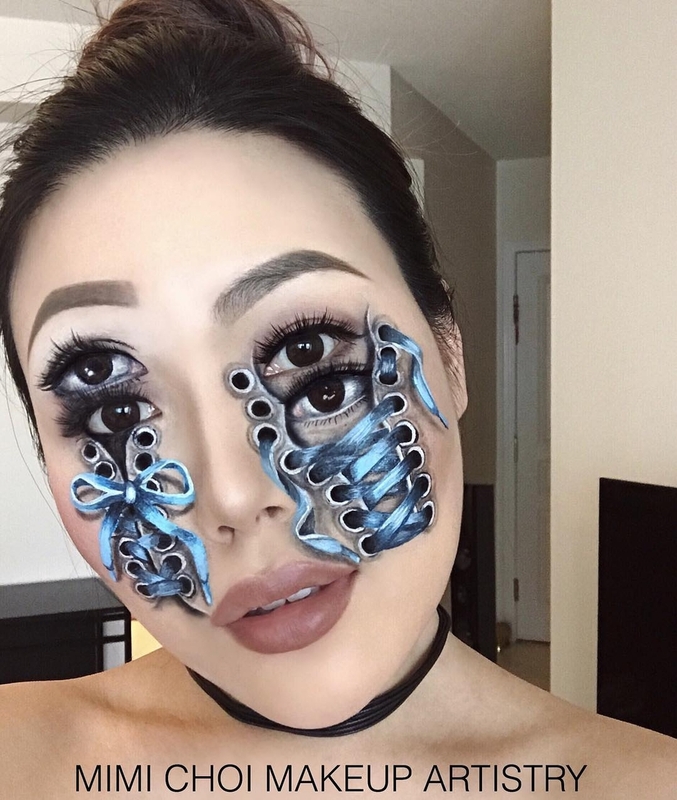 Talented artist that dazzles us with a variety of makeup effects. 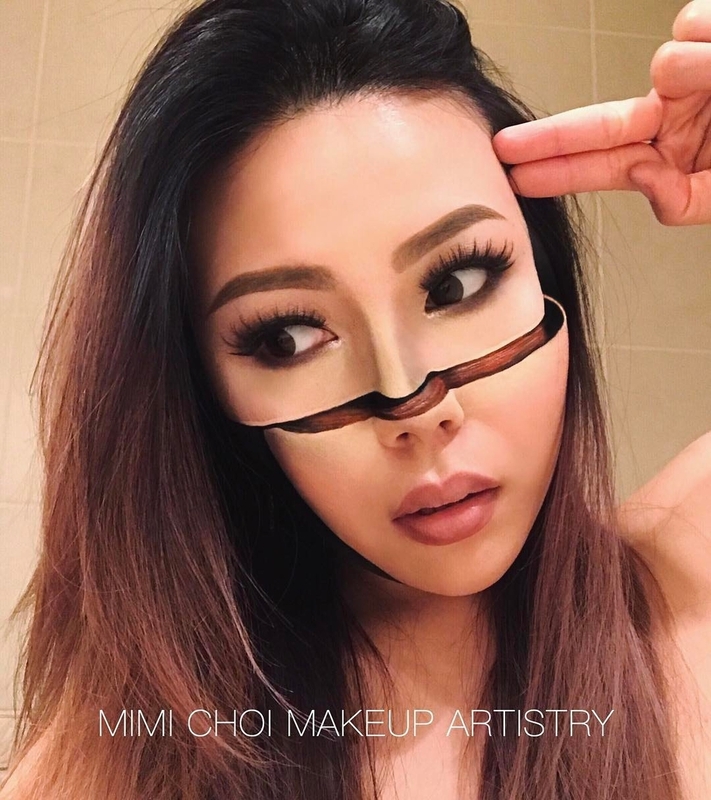 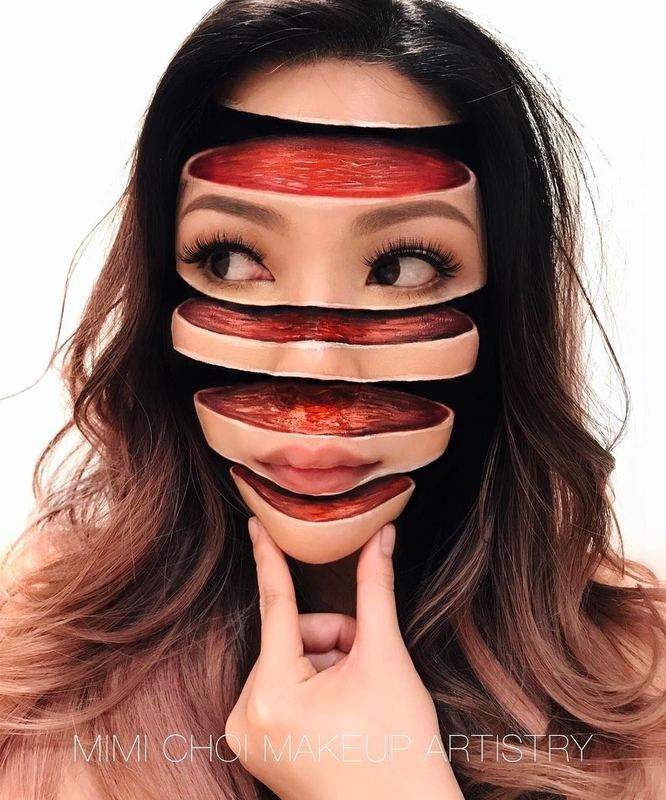 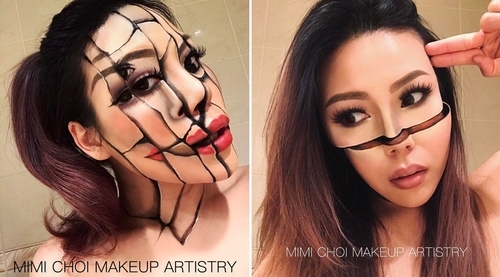 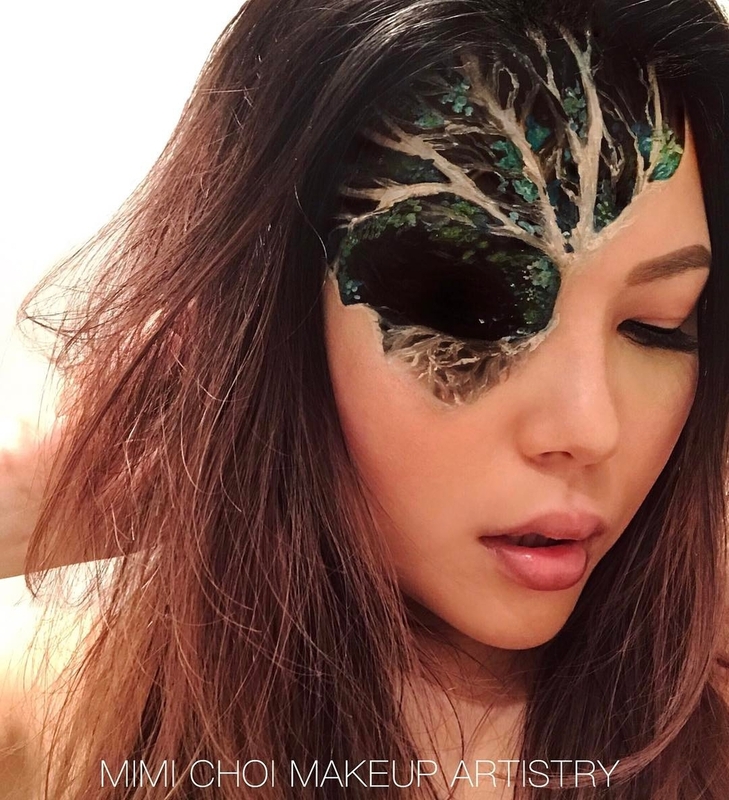 Canadian Makeup Artistist Mimi Choi aka mimles, specialises in Bridal, Fantasy and Special Effects makeup. 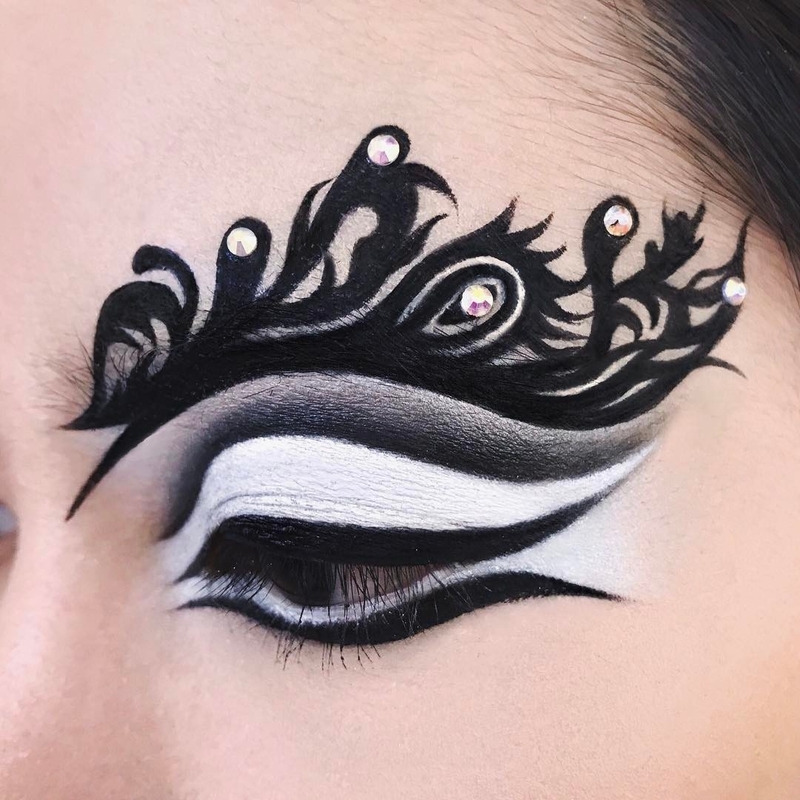 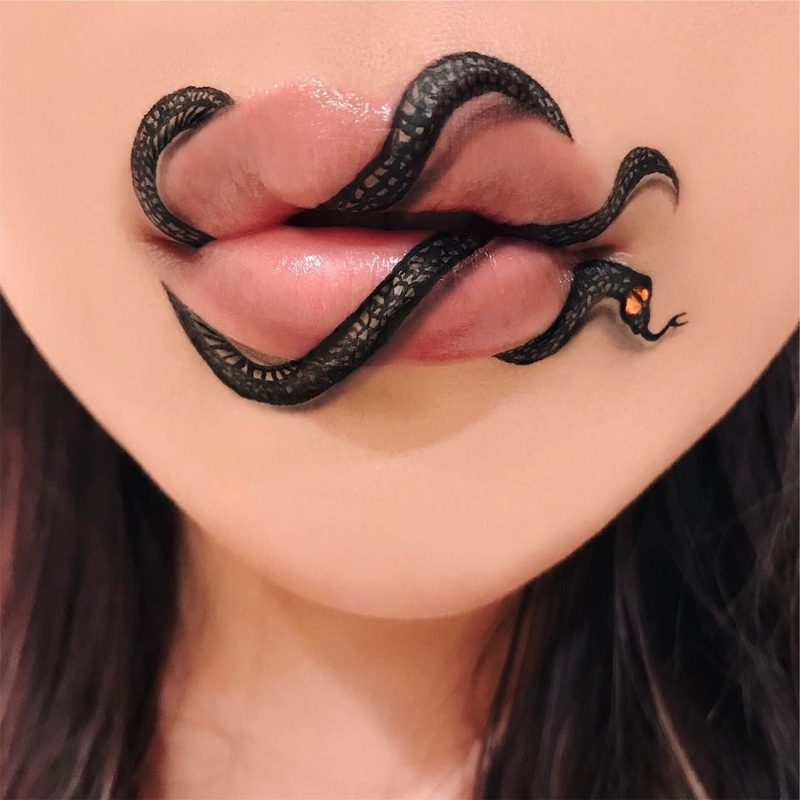 If you look at the images in this post, there are examples of 3D drawings, optical illusions, beauty makeup, art movements and blending paint jobs. 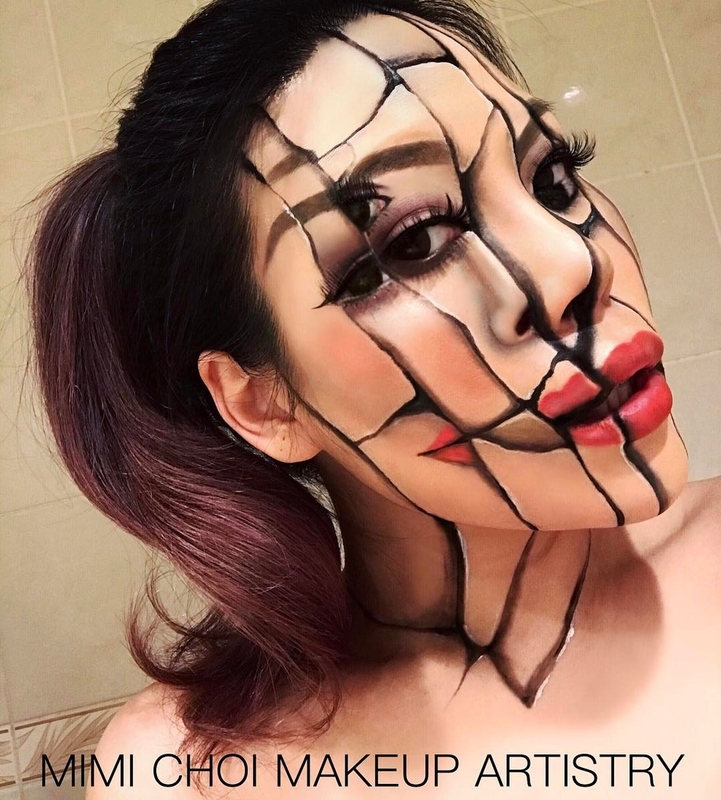 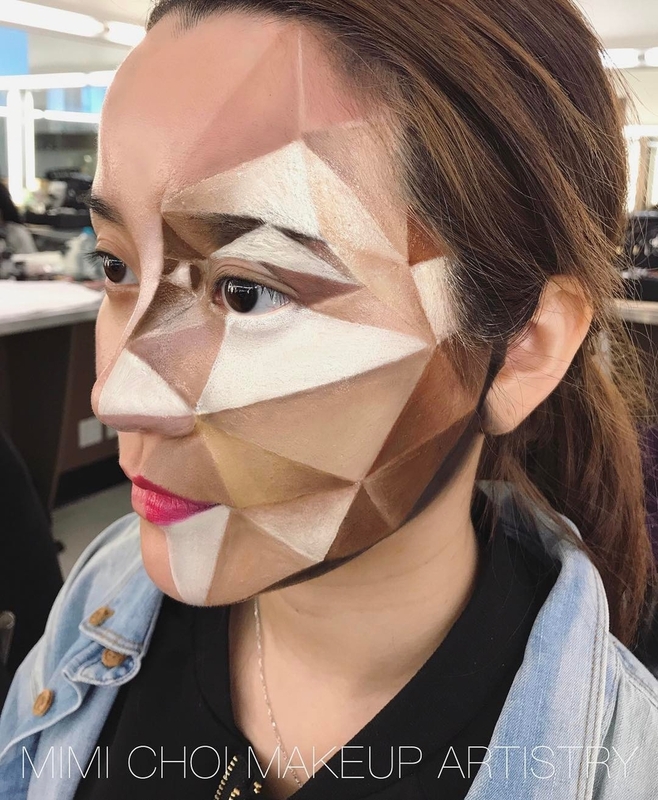 Her incredible technique really does a convincing job, in making the model look like something out of this world. 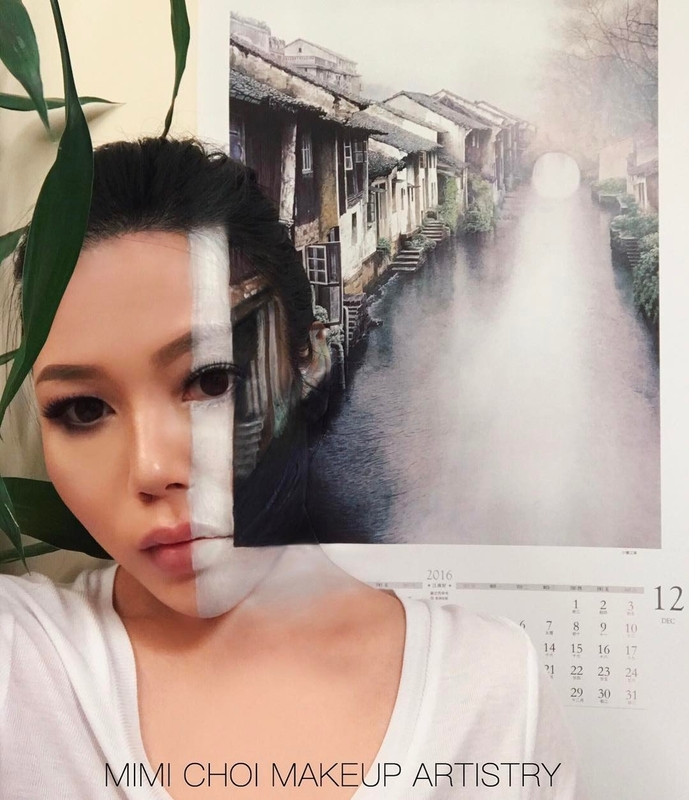 This is an artist that is not afraid to grow her repertoire, trying and experimenting with new techniques. 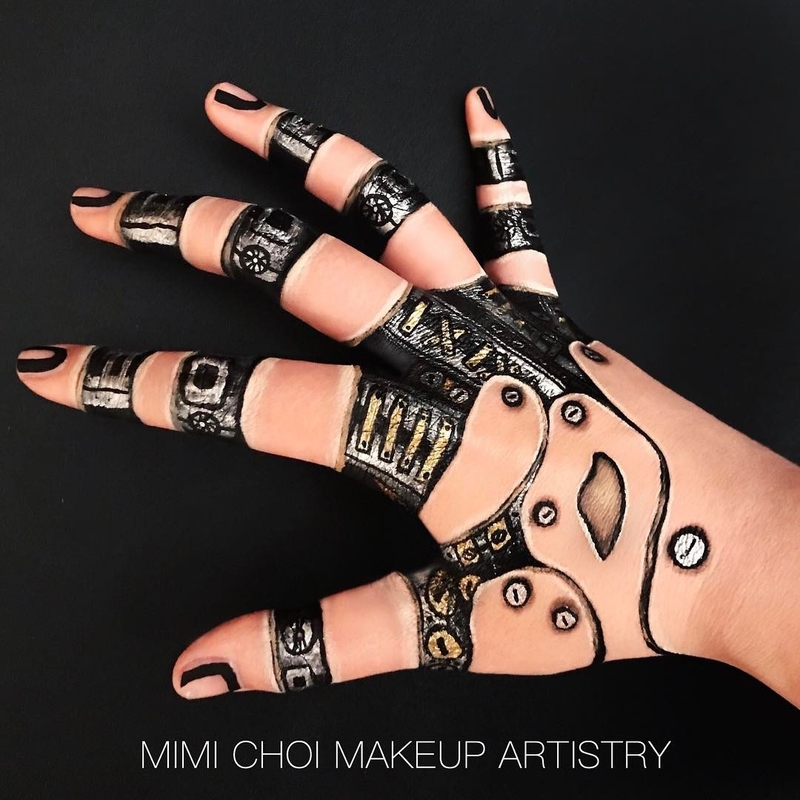 By the way, for her body painting creations, Choi uses every day cosmetics, no specialists paints. 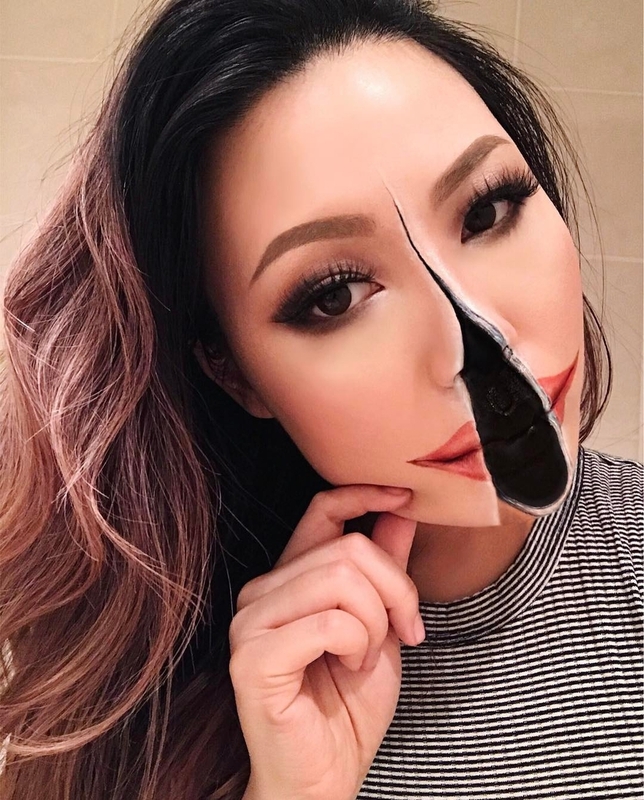 Not Perfect Like a Robot.